It's Advent! What's the big deal? Why does Father Jerry get so passionate about this season? Advent is our time to "prepare ye!" It's a reflective season, when we awaken to the arrival of the Christ-child and are reminded to "in stillness wait" and "wait in hope." How can Advent at Holy Spirit help you do that? Are you making space for God in your life during this time? Click on photo (or see below) to peruse a great list! 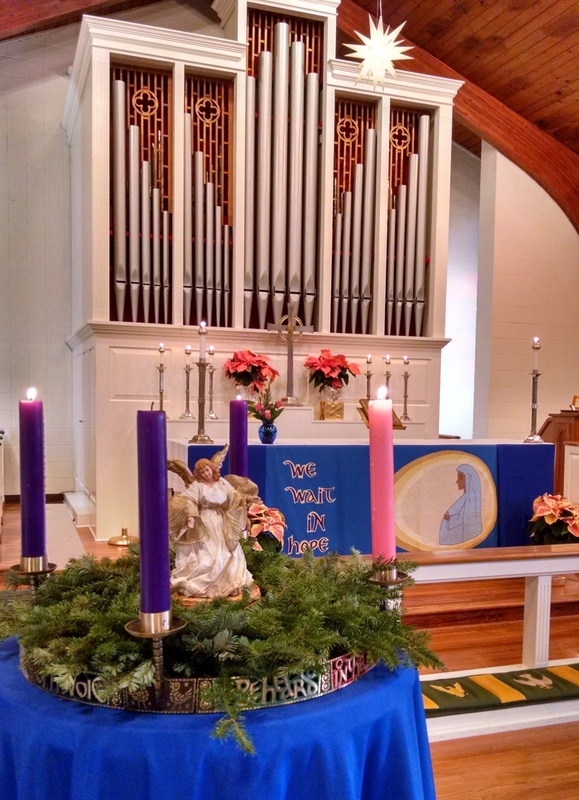 3rd Sunday Before Advent (November 11) – Our “Soft Opening” to pause before the pause of Advent, and we’ll get to experience the Church dressed in its Advent blue three weeks longer! Pick up a Holy Spirit Verona Advent Calendar and pray the names of our congregation. Watch for the return of the Angel on the Altar on Sunday, November 25! First Sunday of Advent (December 2) - as we light the first candle in our Advent wreath; stay awake! Tuesday, December 18 at 7:30pm - Blue Christmas Prayer Service at First Presbyterian Church of Verona (10 Fairview Avenue) …spend some time away from the chaos and seek healing and wholeness. "For you O Lord, my soul in stillness waits. Truly my hope is in you."